There are major differences between potting soils and your typical garden soil found outdoors. However, garden soils are not all the same; there are sandy, heavy, rich or clay soils, and garden soils are rarely as consistent as potting soils. Potting soils are usually mixed commercially and are designed for planting in containers to give plants good drainage, moisture retention and aeration. Don’t use garden soil to pot houseplants or container gardens without some amendments or screening first. Potting mix or potting soil is often much less dense than a typical garden soil. In fact, many potting mixes commercially available are even “soilless" mixes consisting of sand, moss, mulch and vermiculite all mixed together. In any potting soil, the mixture has been screened and aerated and is looser and lighter than a garden soil, with plenty of amendments like those above mixed in to provide good aeration and drainage. In general, potting mixes are more sterile than garden soil and shouldn’t carry weed seeds, fungi or other diseases or pests. However, do not rely on this quality unless the soil was labeled as sterile on its original packaging, as it still sometimes carries weed seeds or mold strains. Garden soil can have all kinds of active biological agents but has the benefit of providing good biological additions to the soil, like earthworms and beneficial bacteria. One of the biggest reasons for the difference in composition between potting soil and garden soil is drainage ability. 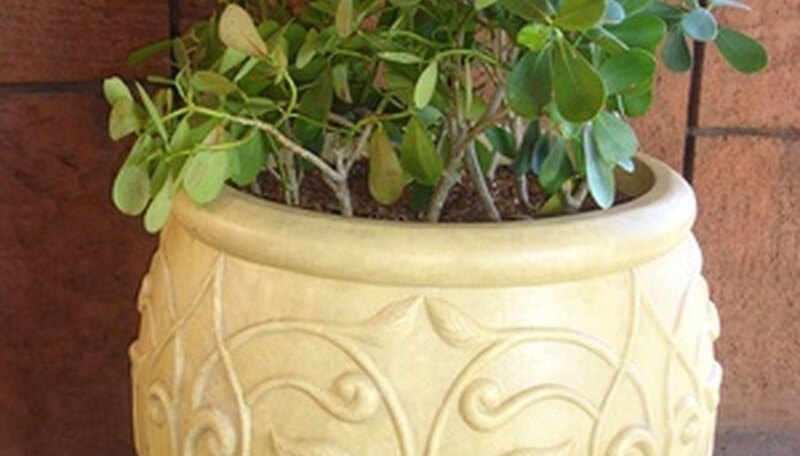 A plant in a pot can’t extend its roots out to catch water or nutrients from far away, so it must be able to retain and reach more water nearby. Moisture-retaining amendments to the soil like vermiculite, peat moss and mulch help with this problem and are present in higher amounts in potting soil than garden soil. A major disadvantage for plants in potting soil is that potting mixes lack the nutrients and natural fertility in garden soils, so you must nearly always use fertilizers. In gardens, the natural cycle of decay and growth keeps soils richer, and the interaction of many plants and insects balances the soil. In a pot, the plant has only what you give it, so a balanced fertilizer, often liquid, is necessary.